Join Margie and other fellow embroidery friends for three full days in the OCQ classroom. OR just join us for the regular OCQ retreat. This weekday retreat will be for those of you who own Embroidery Machines. Bring your machine and your own embroidery projects. 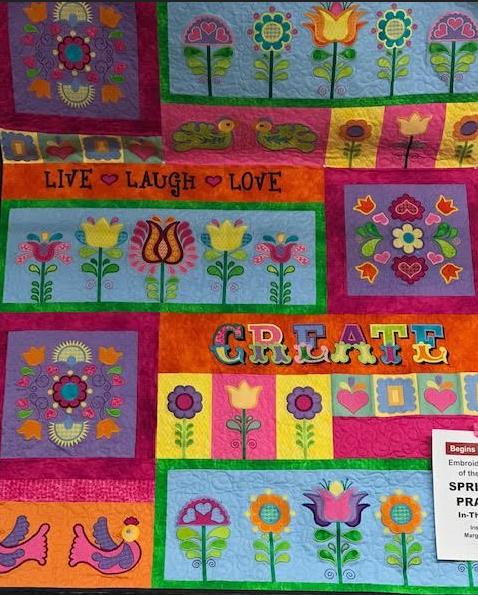 You can also participate in Margie's 2019 Block of the Month! Bring your own embroidery machine, accessories, notions, etc. $75 for 3 Days...or pick and choose at $25 per day.